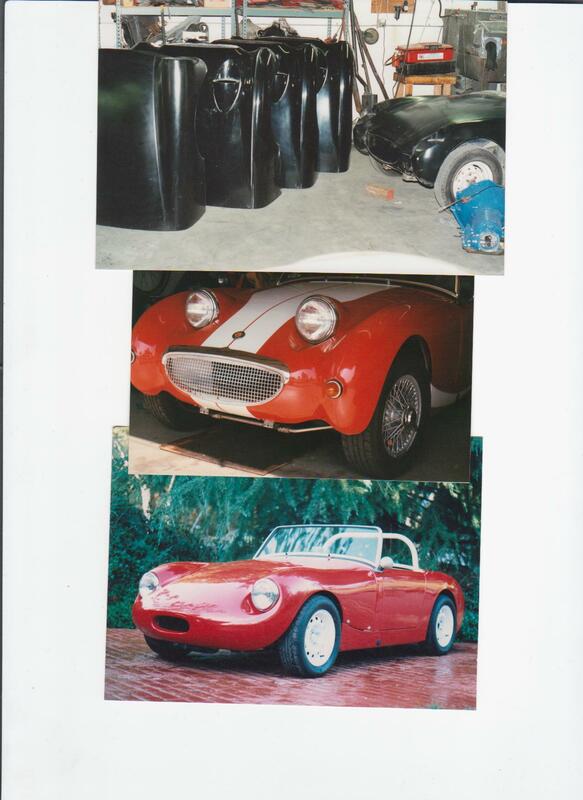 Available from SPEEDWELL are some of the finest fiberglass components on the market for Sprites and Midgets- All hand laid fiberglass, never sprayed! Simply put- The Best You Can Buy! The SPEEDWELL MONZA- A faithful reproduction of the original as designed by Frank Costin. The SPEEDWELL WALKER- Inspired by the Alexander bonnet produced briefly in the late fifties, it retains the bugeye grill opening while the headlamps are moved outboard. 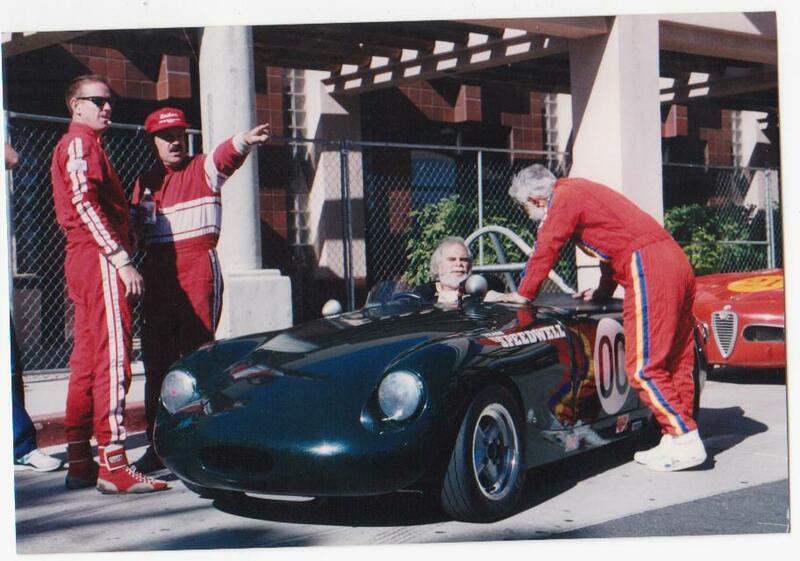 (5 1/2″ instead of the 7″ headlamp). Lexan headlamp covers in clear or smoked are optional. 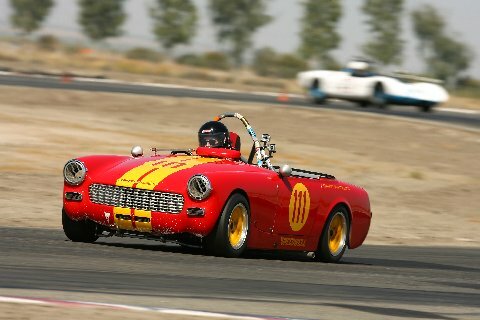 The SPEEDWELL SPRIDGET- A one piece bonnet. Light, sturdy and good looking, just what many street and racecars need! The SPEEDWELL BUGEYE- An exact representation of the standard MK1 bonnet. Once painted, you would never know the difference- aside from the drastic reduction in weight! 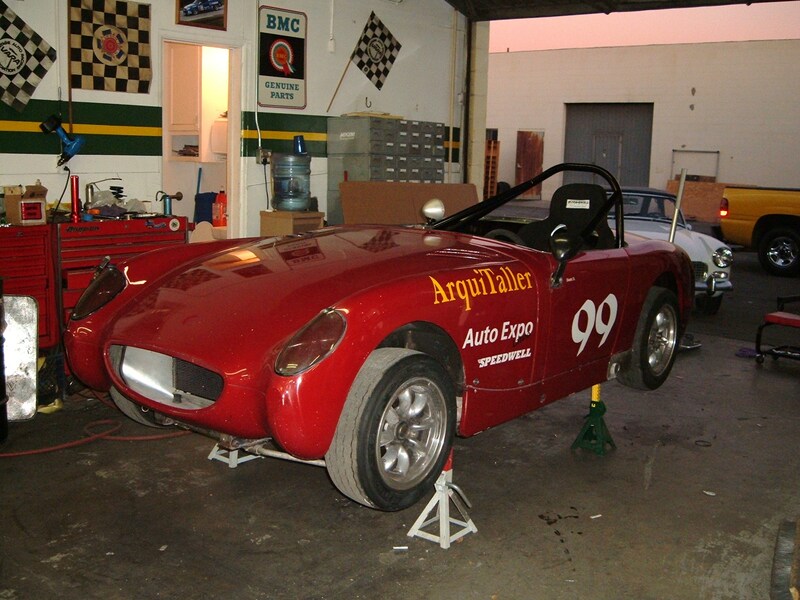 There are more than a few aftermarket fiberglass parts available for the Sprite and Midget. NONE even remotely compare to the quality and accuracy of Speedwells! Briefly, there are two ways to make a fiberglass part. The least expensive to produce is “chopped”, where the mold is sprayed with an airgun that shoots chopped up pieces of fiberglass into the mould. Fast to produce, cheap to sell, but most often thin in some areas, too thick in others. All of Speedwell’s parts are hand laid fiberglass, cut from the same patterns and laid into the same moulds we’ve had for over 25 years. All hardware has always been made ONLY by me, not even one of my trusty guys here. The Bugeye mould was made from the straightest steel bonnet I’ve ever seen. 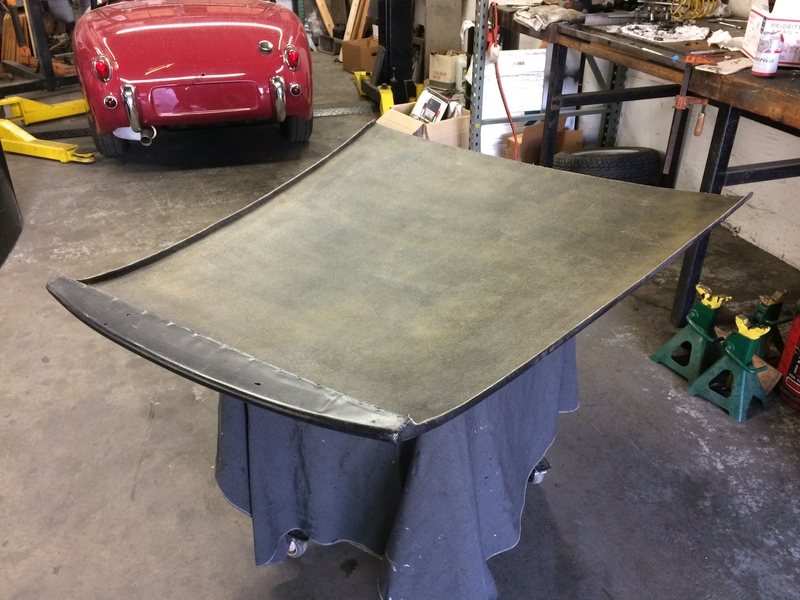 The Speedwell Monza bonnet mould was made from a bare aluminum bonnet. Also available are the Spridget square body one piece bonnet, the Spridget hood, the Bugeye dashboard and also the Bugeye door pockets. More pictures soon. 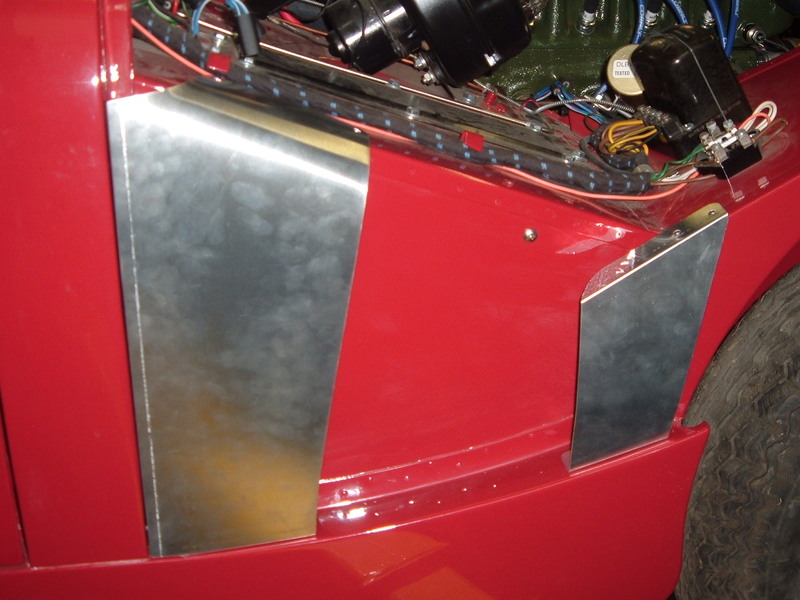 All Bonnets are $1,695.00 and include mounting hardware: forward tilt hinges, cowl seal, retaining cables, four hand formed alloy panels for attaching the 1/4 turn Dzus fasteners (included). Crating fee: $100.00. As of 2012, truck freight coast to coast averages approx. $300.00. So, if you are in the continental 48 states, just under $2,200.00 to your door. Pricey? I suppose. These bonnets are the best available, once again, the mounting hardware is made by myself, the hand laid fiberglass is made 2 miles away from our shop, these pieces are not a high production item and I make no apologies whatsoever for the price. Example – the nose and wing assembly for the current IndyCar series is $30,000.00……………….Yes, they are Carbon Fiber, not fiberglass. However, I can supply you with a bonnet in Carbon Fiber if you wish. 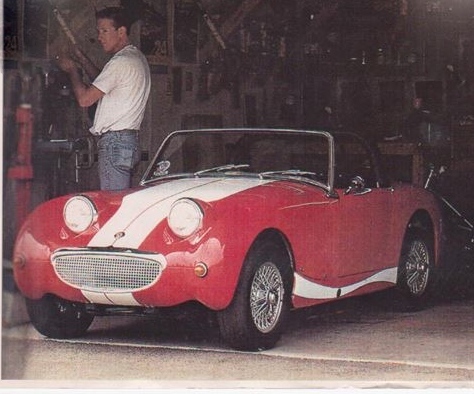 For $26,500.00 less than a current Indy 500 nose cone/wing assembly, which is much smaller than a Sprite bonnet and made in much, much lower quantities. As the years fly by, you cannot imagine the amount of old man noises made just get one of the bonnet moulds down from storage to make a bonnet, let alone putting the mould back in storage. The moulds MUST be stored in an upright position to maintain their shape and integrity. Used to take just two of us to move them around, these days it takes 3 of us, sometimes 4 of us depending upon who’s back is more screwed up! If you’ve bothered to read this far – thanks for listening. To order a bonnet, please call or email. We would be glad to address any questions or concerns. 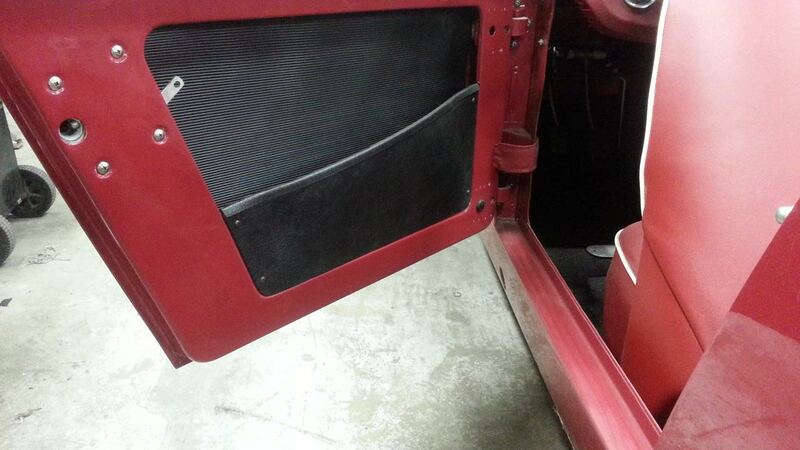 Above is our fiberglass reproduction of the Bugeye dashboard. After over 50 years, so many Sprites have had so many holes drilled/gouged and molested for extra switches, gauges and stereo’s that it’s just not cost effective to repair the steel unit. 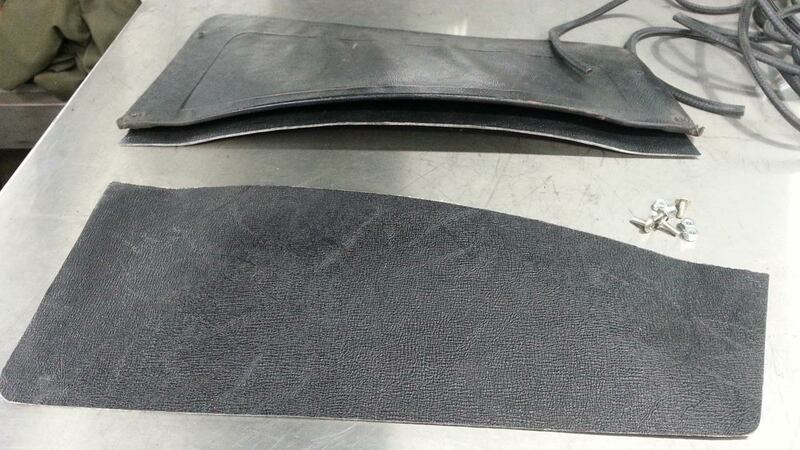 Once covered in vinyl or leather, you’d never know! 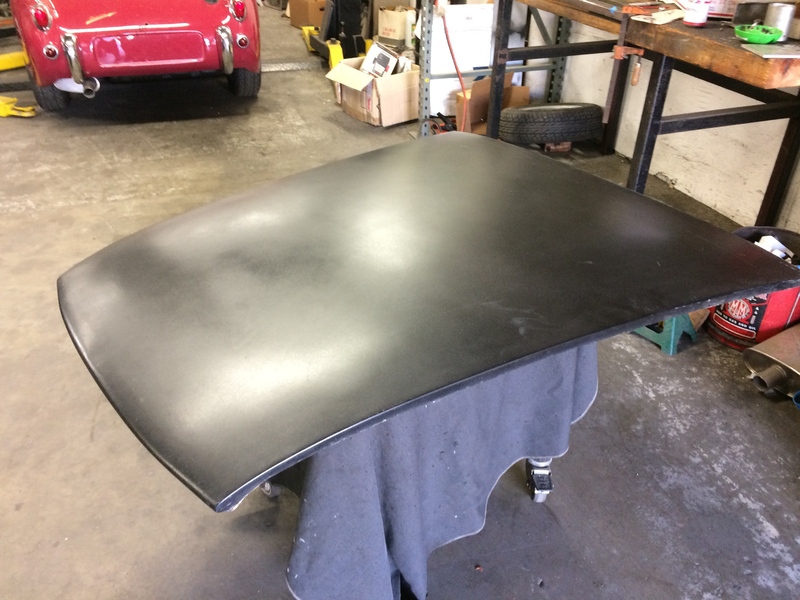 The Spridget Hood- A lightweight replacement for the original, it is suitable for all square body Sprites and Midgets. It is the skin only, and is not intended for use with the original hinges or latch.